Gettysburg Licensed Battlefield Guide Fred Hawthorne is standing at on top of the Devil’s Den area near the position marking Smith’s New York Battery. He is pointing to the P. Noel Carving. This view was taken facing southeast at approximately 5:45 PM on Friday, March 25, 2011. 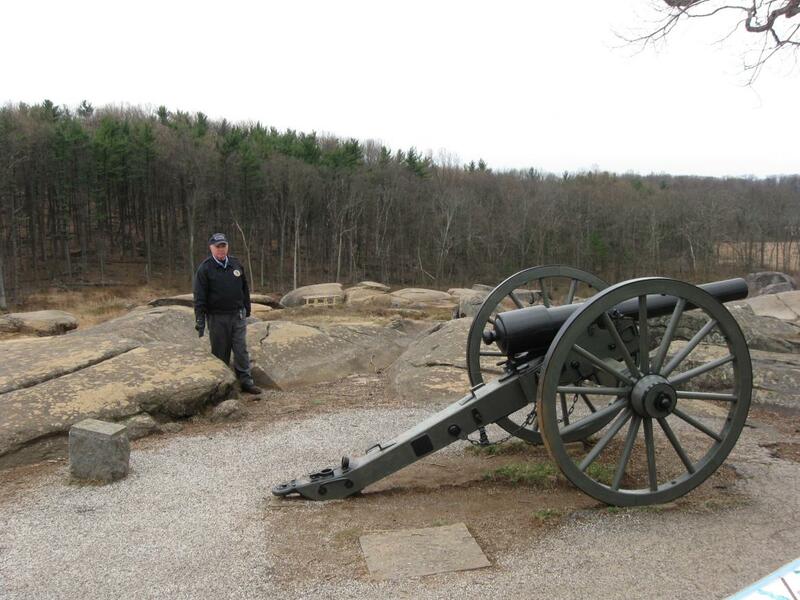 In today’s 140 Places Every Guide Should Know post, Gettysburg Licensed Battlefield Guide Fred Hawthorne shows us the “P. Noel” carving and the “Big Rocks” of Devil’s Den. This map shows us the locations taken of the videos for the 140 Places Every Guide Should Know series. Videos #1-#30 were shown in our previous 140 Places Every Guide Should Know posts. Video #31 was taken at the Timbers’ Foundation. Video #32 was taken at the monument to the 124th New York Infantry Regiment. Video #33 was taken at the “P. Noel” rock carving. Video #34 was taken in front of the “Big Rocks” of Devil’s Den. 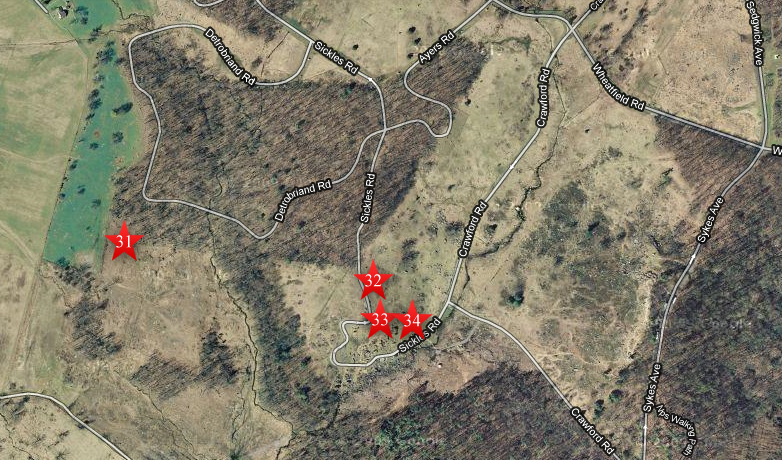 This map was created facing north at approximately 4:30 AM on Friday, April 8, 2011. 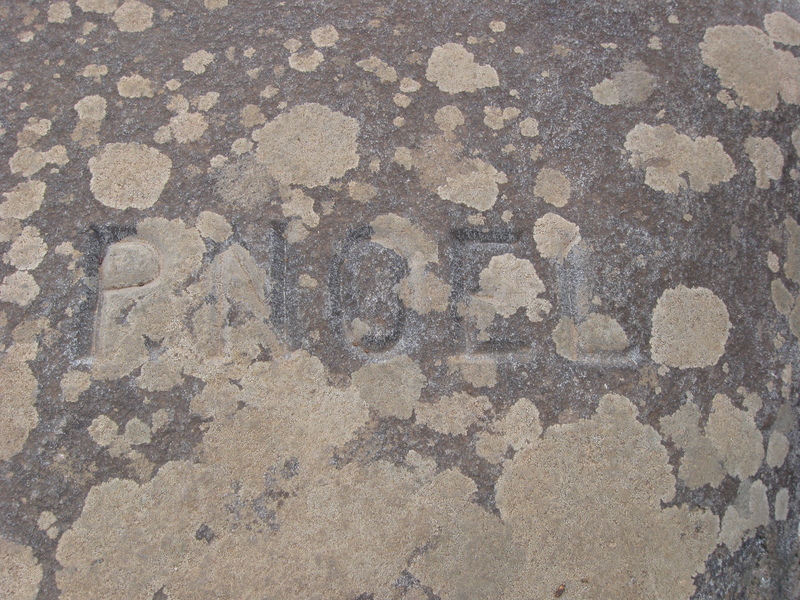 The P. Noel carving might have been completed by a professional stone carver. This view was taken facing southeast at approximately 5:45 PM on Friday, March 25, 2011. In Video #33 (Videos #1-32 were shown in our previous 140 Places Posts) Gettysburg Licensed Battlefield Guide Fred Hawthorne shows the location of the P. Noel rock carving and agrees with Licensed Battlefield Guide Tim Smith that the creator of the carving was probably Gettysburg resident Parke Noel. This view was taken facing east to southeast at approximately 5:45 PM on Friday, March 25, 2011. Licensed Battlefield Guide Fred Hawthorne is standing in front of the Big Rocks, and probably the most visible rocks at Devil’s Den. This view was taken facing southwest at approximately 5:45 PM on Friday, March 25, 2011. 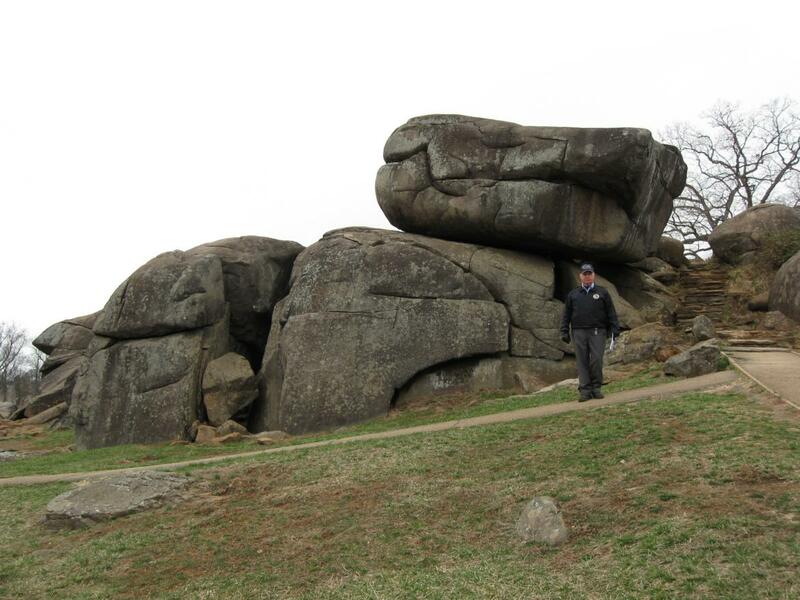 In Video #34 Licensed Battlefield Guide Fred Hawthorne is standing in front of (northeast of) the Big Rocks of Devil’s Den. He discusses the names for this area during the battle. This view was taken facing southwest at approximately 5:45 PM on Friday, March 25, 2011. As of now, there are 147 places/facts on the list, and they are not in any particular order.